These items are great for storing tools, paint, office supplies, uniforms, and anything else you need to get out of your way. 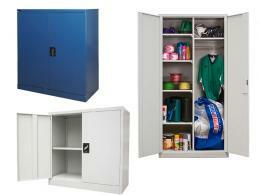 They look sleek and will save you space by keeping all of your materials in one area. This product can be used anywhere, from your home, to your garage, to your office, to your workshop. 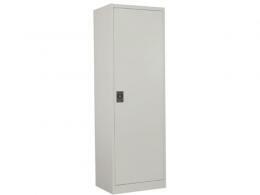 Anywhere you need some extra storage space is a great place to put some economy metal cabinets. Almost anyone can make use of this product. You can use these units at home in a garage or workshop. You can use them in an office setting to store paper and other supplies and keep your space neat an organized. You can even use them in heavy duty environments, such as laboratories and mechanic’s garages. 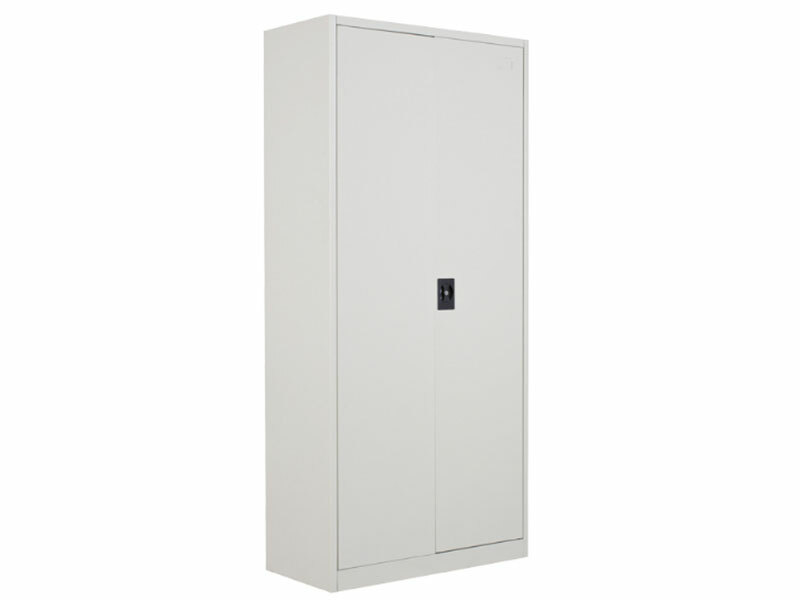 You can purchase our economy storage cabinets in three different sizes, so you will be sure to find something that will fit your space. 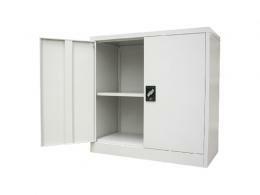 This product is carefully crafted with 0.8mm thick steel, and the doors have 3 point locking, so you know your items will be secure. They are delivered already assembled, so you don’t have to waste your time trying to decipher instructions and put them together. The shelves are adjustable, and this product comes with a 5 year guarantee. We offer easy returns, so if you order this product and you find that it is not right for your space, simply return it to us for your money back. We put our customers first here at The Workplace Depot, so if you need help finding items for your home or workspace, or if you have any questions about our products, simply give us a call. One of our friendly associates would love to assist you.